Sentosa Island is a popular destination for tourists coming to the city, and the good news is that internal transport on the island is free - you just need to get there. From the airport there are three methods of transport to Sentosa, however by taxi is the only way to get there directly. A Singapore airport taxi will take you around 22 minutes with a standard condition fare of around 15€ (S$25). If you wish to take the MRT (metro) it will cost 1.20€ (S$2), or 1.08€ (S$1.75) with an EZ-Link card and take around 45 minutes. By bus is more complicated too, as you will need to take a couple of buses to reach the station at Sentosa - costing 1.50€ (S$2.50) or 1.18€ (S$1.84) with an EZ-Link card. This journey will take around 1.5 hours. Once you reach the station, you will need to cross. This can be done via the boardwalk (15 minute walk) or via the Sentosa Express Monorail - taking 7 minutes to reach the centre of the island - which will cost 2.40€ (S$4) for the return journey and can be paid for by EZ Link Card (but there is no discount). The train runs every 3 minutes, and operates between 07:00am until 10:00pm (Mon - Thurs) and till 12:00am (Friday, Sat and Sun). How much is the metro from Singapore Airport to Sentosa? Fare is collected based on the distance traveled. Single tickets can be purchased at General Ticketing Machines near the metro, and can be used up to 6 times within 30 days. You will need to pay a 10c deposit for the card and this is taken off when you either return the card, or discounted on the last trip you take with it. These are cash only machines. A single journey will cost 1.20€ (S$2) by this method. The metro cost is dependent on the method of payment used. It is better value to purchase the EZ-Link card, as this is a rechargeable card that can be used on multiple kinds of public transport and provides a discount on these journeys. These are available at ticket offices near the MRT terminal in the airport and is also refundable when you leave the city. The card will cost 3€ (S$5) and the rest of the top up is credit. By this method the MRT journey will cost 1.08€ (S$1.74). Additionally, if you wish to take the Monorail (Sentosa Express), this will cost an additional 2.40€ (S$4). You can either purchase these tickets within the station or use your EZ-Link Card. The metro is available from 05.51am - 11.18pm (Mon-Fri) and 05.31am - 11:18pm (Sat, Sun & Holidays) and leaves every 7-9 minutes during peak hours and 12-13 outside these hours. Singapore Airport has three terminal buildings. If you need to make your way between the buildings there is a variety of options available. Although cheap, the metro journey is long and can be crowded in peak times heading to Harbourfront, making the journey with luggage difficult. As well as this, there will be multiple transfers to get to the station which can be frustrating after a long flight. The station for Sentosa is connected to Vivocity Shopping Complex, which is full of restaurants and shopping stores. The monorail can have a long wait at peak hours and can be crowded. The walk across the boardwalk is pleasant if you don't have luggage and provides great views of the harbour. It is best to get there early if you wish to make the most of Universal Studios! Sentosa is best reached by taxi as they will take you the whole way across the bridge to the island, avoiding queues for the monorail or the walk across the boardwalk. The taxis in Singapore are comfortable and convenient and are operated by a variety of companies; coming in all shapes, sizes and colours. The Changi airport taxis are available from the ranks at all hours. The taxis in Singapore have a lot of factors that can impact the price of a journey. They are metered, however should, under normal conditions, cost around 15€ to get you to Sentosa Island. Firstly, there is a standard airport pickup cost of 1.85€ (S$3) Monday to Friday, and 3.10€ (S$5) on weekends and public holidays. Additional to this, Monday to Friday between 07.00am - 07.00pm there is a toll charge that will be applied for any journey to the city, and weekends and public holidays this will apply between 07:30 - 09:30am. The charges are also in effect from 01:00pm the day before major holidays (Christmas, New Year, Deepavali). Finally, there is an extra 25% applied to any fare within peak hours of service; Monday to Friday between 06:00am - 09:30am and everyday between 06:00pm and 11:59pm. There is a 50% extra charge on taxi journeys between midnight - 06:00am daily. Taxis are the most convenient method of transport, and is best for those who have luggage to take across to the island as other methods are not luggage friendly. It is advisable to check ahead of schedule to make sure that you don't end up getting charged a higher rate for certain days or times. There is also a cable car that goes to Sentosa if you are more interested in the scenic route. Of course luggage is more difficult here. Ask your driver to drop you at the Mt Faber cable car station. You can always check with your driver what the cost will be for the journey before you leave. The journey might be affected by heavy traffic if you are in peak hours - make sure you plan enough time. You can always ask your driver for a receipt if you require a breakdown of charges for the journey. If you feel more relaxed knowing that somebody is waiting for you, you may as well book a Welcome Pickups transfer. As soon as you arrive at the airport you will be greeted by your driver. He will be waiting for you at the terminal of your arrival with a sign that has your name on it. Your driver will help you out with your luggage and together you will make your way to the vehicle. While he is driving you to your accommodation, the driver can give you some tips and recommendations on what to do during your holidays in Singapore. Our drivers are hand-picked and speak fluent English. No need to worry about miscommunication issues that you may face with the local taxi drivers regarding your destination. Relax and enjoy your ride. How much is the bus from Singapore Airport to Sentosa? The bus is available 06:08am - 10:52pm (Mon - Fri), 06:07am - 10:52pm (Sat) and 06:06am - 10:53pm (Sunday and Public Holidays) leaving between every 8 - 12 minutes (more frequent in peak hours). The bus is available from the basements of Terminals 1, 2 and 3. Follow the signage that reads "Bus to City" throughout the airport. 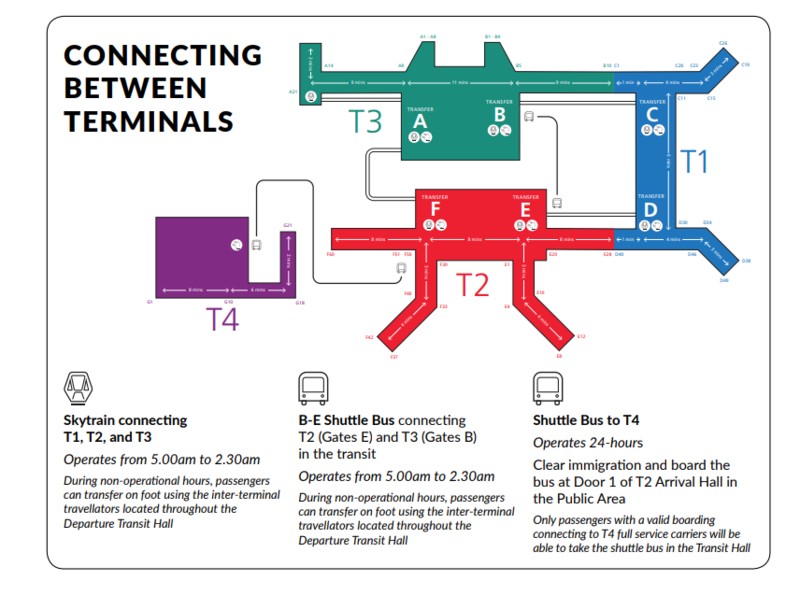 If you are in Terminal 4, you will need to catch the bus near the carpark zone labelled 4B. The bus journey is long, and with changes can be tiresome after a flight. Additionally, the bus is not very appropriate for transferring with luggage - it would be most efficient to get a taxi for this trip. If you decide to take the bus with luggage, it is best to do the journey earlier as you will get on the bus at the beginning of its route and it will not be as crowded. To avoid worrying about extra time waiting to buy tickets, grab an EZ-Link card before you leave the airport. Buses run fairly regularly around the city, so if one is too full, there shouldn't be too long a wait for the next one. How much is a taxi from Singapore Airport to Sentosa? A taxi from Singapore to Sentosa will cost approximately 15€ (S$25), however night-rates and peak-time charges can affect the rate of the meter fare. How many transfer options are there from Singapore Airport to Sentosa? There are three ways to get from the airport to Sentosa. 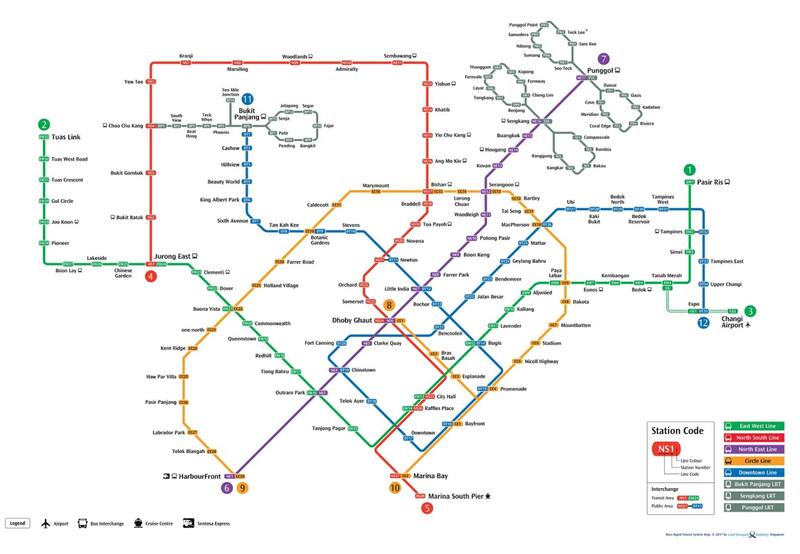 Unfortunately, the only direct option is a taxi, as public transport both on bus and metro (MRT) will mean multiple line changes. Additionally, you will need to either walk across the boardwalk to the island or take the Singapore Express Monorail to reach the island from Vivocity station. How far is Singapore Airport from Sentosa? Singapore Airport is located around 25.3km from Sentosa Island. By taxi the journey should take around 22 minutes in normal conditions.